It's the easy system for healthy, good looking spas. It is a simple and cheap method for keeping your spa clean and sanitised without the use of chlorine, salt chlorinators, ionisers or dubious chemical miracles or magical devices. It uses Enviro Sanitiser, a broad spectrum bactericide (biquanide). Biguanide refers to a positively charged polymeric-based sanitiser known as PHMB (poly hexamethylene biguanide). The Enviro System is approved and registered by the APVMA (Australian Pesticide Veterinary Medical Authority) as a method of sanitising your spa. 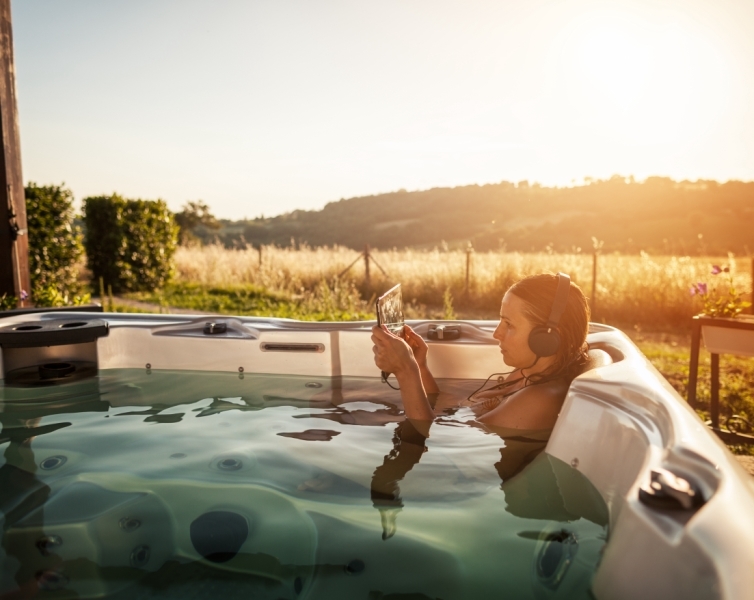 The Enviro system was designed for use in spas for people allergic to chlorine and other common chemicals. Used for over 15 years in Australia, it is the premium method for chlorine-free, economical treatment of private spas. All spas need to be sanitised. Sanitised in terms of spa water means that various pathogens such as bacteria, viruses, parasites, cysts and so on that cause sickness or disease must be controlled or killed to make a spa safe. The Enviro Sanitiser has been tested and approved by the A.P.V.M.A to ensure these are killed. Regular use of this product will help to minimise contamination of the water with these microscopic particles. This is why the Sanitiser must be used and also why it has to be approved by the APVMA which is the Government body that approves and registers sanitisers. Enviro Water Treatment is registered as a sanitiser but it is also registered as an Algaecide since it also controls and kills algae. For your safety and that of your Family always ensure proper and regular dosing of this product. Many particles are so small that unless they are gathered together (agglutinated) by the floccing nature of the clarifier, they will pass through the filter and return to the spa time and time again causing hard to remove cloudiness. This product is used to help collect together particles of various unwanted material such as dead bacteria, dead algae and other organic material allowing the collected particles to be caught in the filter. Peroxide (based) is used to oxidise away (burn out) waste material that causes cloudiness or discoloured water. Some contaminating material eg, body fats and oils in spa water are so small that the filter can't collect it at all and so the booster will simply burn it out. This function of the booster gives a spa sparkle as it removes the offending material.